This One Pot Pasta Turkey Alfredo Ziti recipe is the ultimate Ragú® #NewTraDish mash up and is part of a sponsored post for Socialstars. Can you believe that Thanksgiving is less than two weeks away? I love that Thanksgiving is a time for giving thanks. Much of the year is spent rushing from here to there. We need a holiday to remind us to slow down and be thankful. Thanksgiving is also a time to reconnect with family and friends. For my family, it is a relaxing day even though we have a large number of people and all of the little cousins are full of energy. But we all know the real star of the show on Thanksgiving is the food…oh the FOOD…from the moist turkey and the fluffy mashed potatoes to the gorgeous pies and desserts! Plus, there are always leftovers which are fabulous. 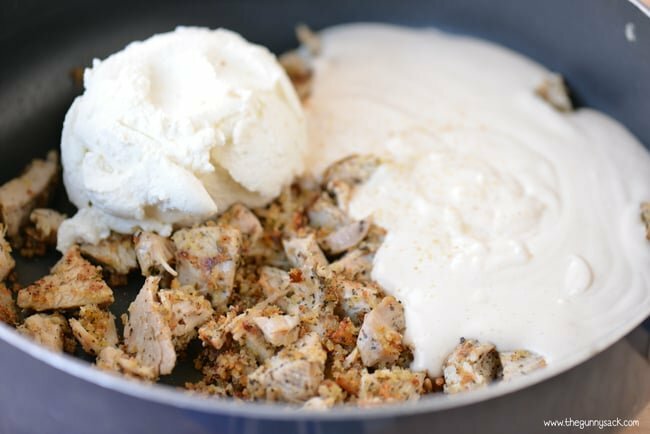 With that in mind, I made this delicious One Pot Pasta Turkey Alfredo Ziti recipe for leftover Thanksgiving turkey. My family’s favorite pasta sauce is Alfredo. They love Chicken Alfredo pizza, fettuccini Alfredo and three cheese tortellini with Alfredo sauce. 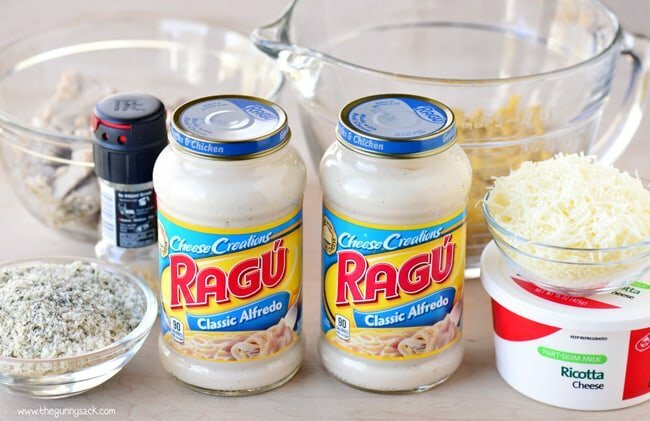 So, I knew that I wanted to use Ragú® Cheese Creations Classic Alfredo for my #NewTraDish mash-up recipe. Ragú® sauces have a delicious taste the whole family will love. This Turkey Alfredo Ziti is inspired by two classic Ragú® recipes: Oven Baked Chicken Parmesan and No Boiling Beefy Baked Ziti. Ragú® has the Authentic Italian taste American family’s love and a variety of great tasting, quick and easy to make family favorite recipes. 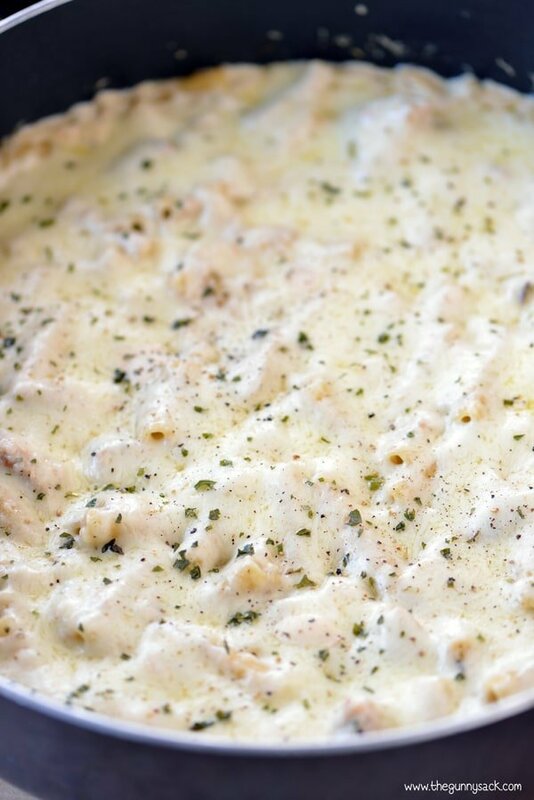 To make this Turkey Alfredo Ziti, sprinkle turkey breast cubes with Italian bread crumbs and stir to coat. Heat oil in a large skillet. Add the turkey and brown for 3-5 minutes, turning occasionally. 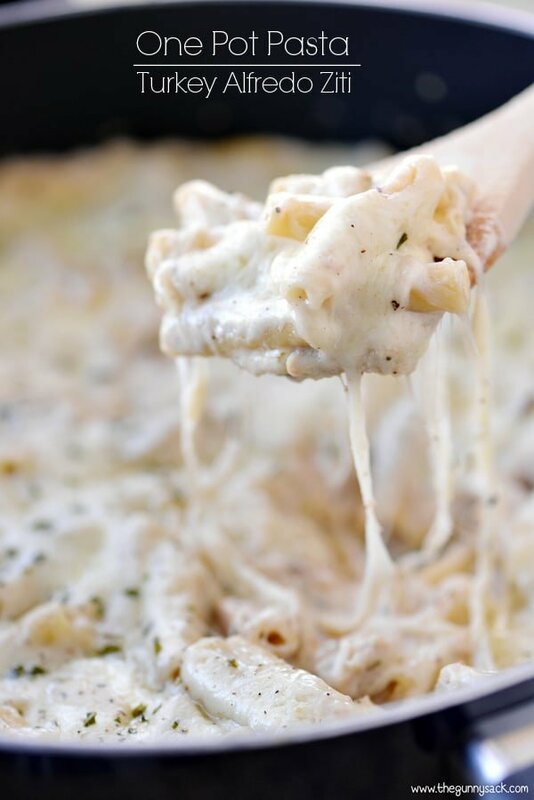 Add the ricotta cheese, garlic salt and Ragú® Cheese Creations Classic Alfredo Sauce. Top with water and ziti. Stir to combine and bring the mixture to a boil. Cover the skillet, reduce the heat and simmer for 12-14 minutes, stirring occasionally, until the pasta is done. Sprinkle with shredded mozzarella cheese, cover the pan and allow the cheese to melt for a couple of minutes. Or if your skillet is oven-safe, place the pasta under the broiler for a couple of minutes to brown the cheese. 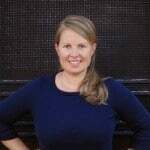 Visit Ragú® Sauce Masters for additional ways to get involved and learn more. Made this tonight, however we’re gluten free so I made a few changes, like didn’t coat the turkey in breadcrumbs and used gluten free pasta. My family really liked it!! definitely a keeper in our house, lots of great flavor. Looks really good. Printing and using after Thanksgiving! Wonderful! I hope you have a very Happy Thanksgiving! Me too! Thanks so much Kelly! 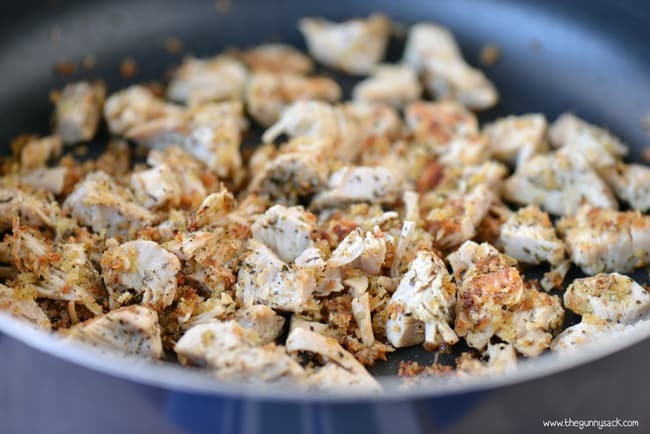 This is such a great weeknight dinner! Pinned! 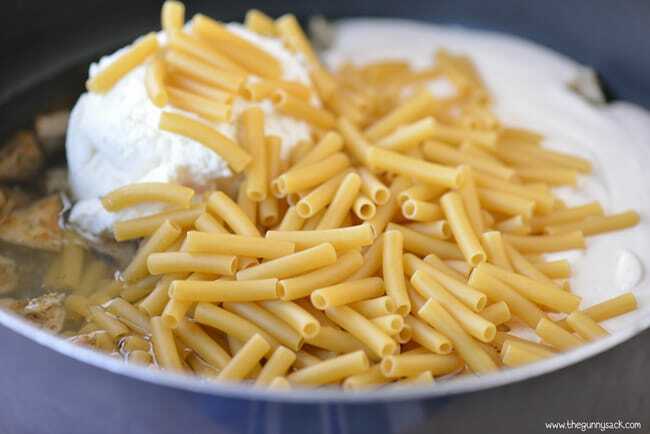 This pasta is terrific for left over turkey. I love how cheesy it is. I’ll take a huge bowl please!